Tilt is a secure payments platform that makes it easier for groups to collect money for a specific purpose (events, dues, team apparel). Whereas Venmo is the go-to for peer-to-peer payments, Tilt aims to own the market for peers-to-peer fundraising. As a college student, it can be prohibitively challenging to bring one of your favorite artists to perform at your school. I experienced this firsthand way back when I was involved in doing so. Even if you have the permission, money, and venue, finding the information and stakeholders you need to secure a performance is burdensome and confusing. 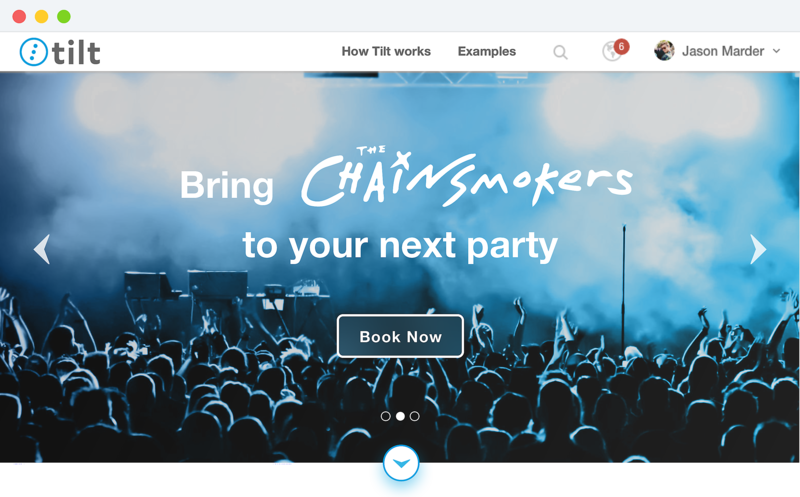 By creating a tool that simplifies this process, Tilt can open new revenue streams, become significantly more valuable to prospective and existing users, and power memorable live music experiences. I owned the UX and UI design of both microsite pages after the team's initial ideation. I also designed the landing page's iconography for fun and function. We couldn’t find any icons that felt quite right, so I played around and made some myself. In lieu of readily available students, the client translated past primary research to help us understand our target user. Inspired by Google Ventures’ design process, we then went Crazy (Eights) to rapidly diverge on potential design solutions. The best of those ideas guided us into prototyping. 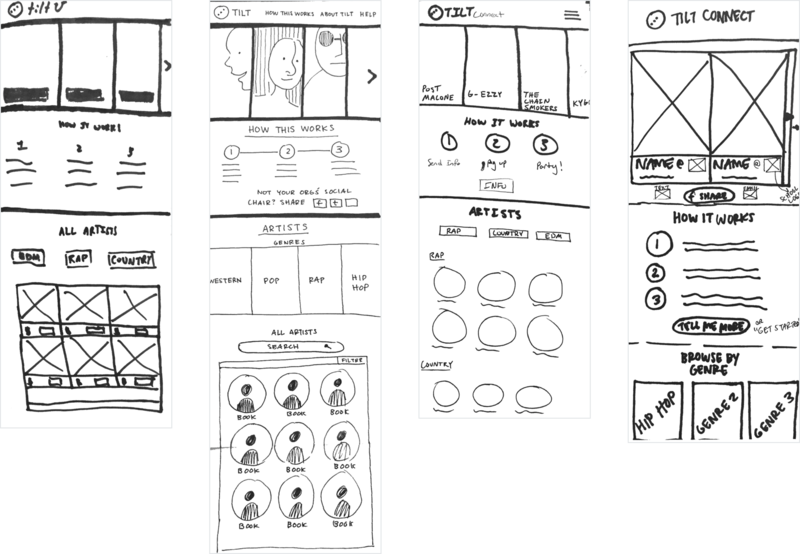 We went from sketches to mid-fidelity prototypes, which we tested to identify pain points before moving into high-fidelity. We made key UX and UI improvements in our comps based on our learnings from testing. Above all, this project reiterated the value of user testing. Especially when you're so close to the design process, what you think is straightforward likely won't be to somebody else. With our copy in particular, it was difficult to balance personality with clarity. Our user tests were crucial in helping us find that balance. We're really looking forward to seeing Tilt launch this microsite in the near future!